Rinosh George's "I'm A Mallu" Rap Is Simply… AWESOME! From celebrating the love for “banned-meat” curry and porotta to protesting the claim that Malayalis put coconut in all their food, from accepting that some of his kinsmen do have an accent when speaking English to reminding us of all the Mallu folk who are fairly and universally respected by everyone… Rinosh George covers it all in his new song, aptly titled “I'm A Mallu”! And the catchiness of the track is pretty hard to deny as well. His enthusiasm and energy are infectious, and as you watch this fun, funky video, you're definitely going to find yourself tapping your foot and nodding your head. 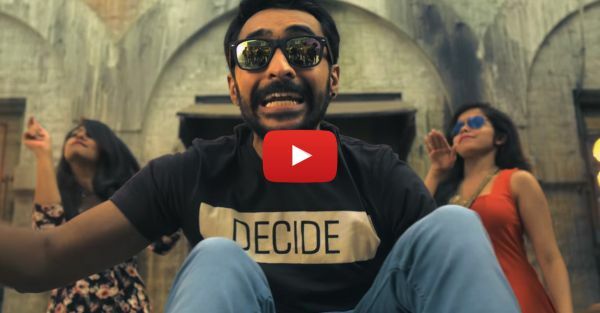 Rinosh’s “This Is Bengaluru” was brilliant - and this song is even more so! If you're Malayali - or have a Mallu friend - you've got to play this one and share… It's “simply” awesome! PLUS: Subscribe to POPxo on YouTube for original videos + our favourite videos from around the web! .be MUST-READ: The “Call Me Maybe” Parody Of Every Indian Matrimonial Ad EVER! MUST-READ: The Hindi Version Of Justin Bieber’s “Sorry” Is Just SO Funny!